Where Does Maxine Waters Get Her Money? Where Does Maxine Waters Get Her Money? Where Does Maxine Waters Get Her Money? 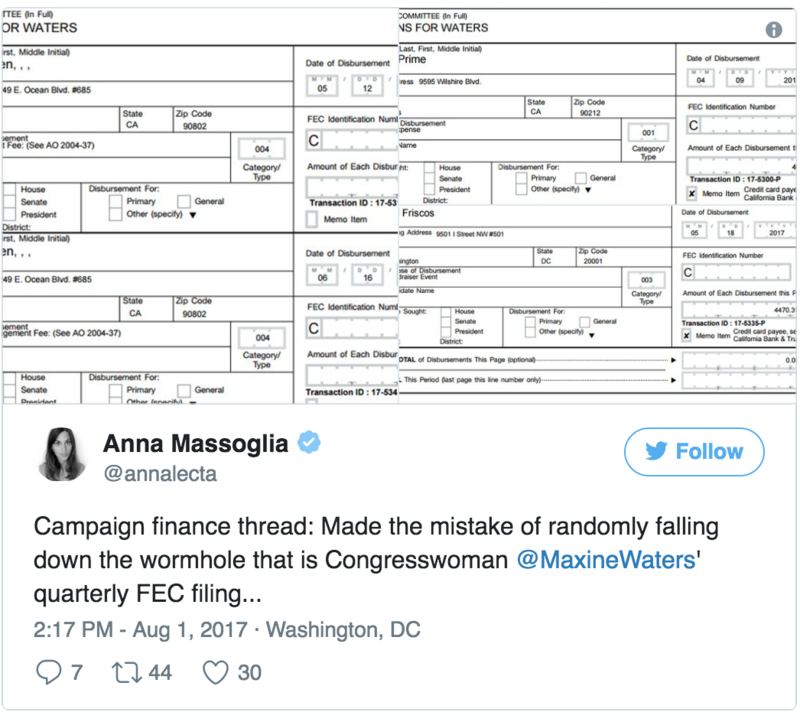 Bloomberg reporter Anna Massoglia recently “fell down a rabbit hole” when she began looking at California Democrat Maxine Waters’ recent tax filings. Massoglia stared at the paperwork for hours and simply could not make the math work. 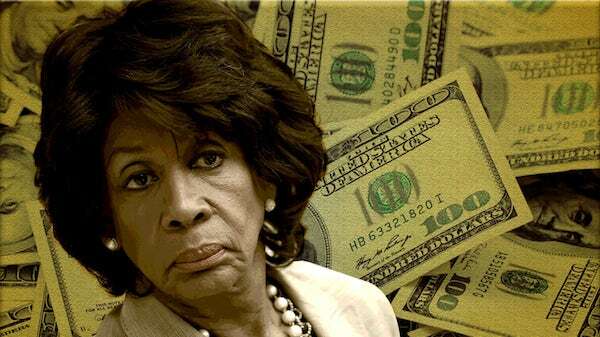 Between high priced dinners, paying her daughter exorbitant amounts, and paying for big fundraising events it seemed that Mad-Max-ine should be broke… but she’s not. 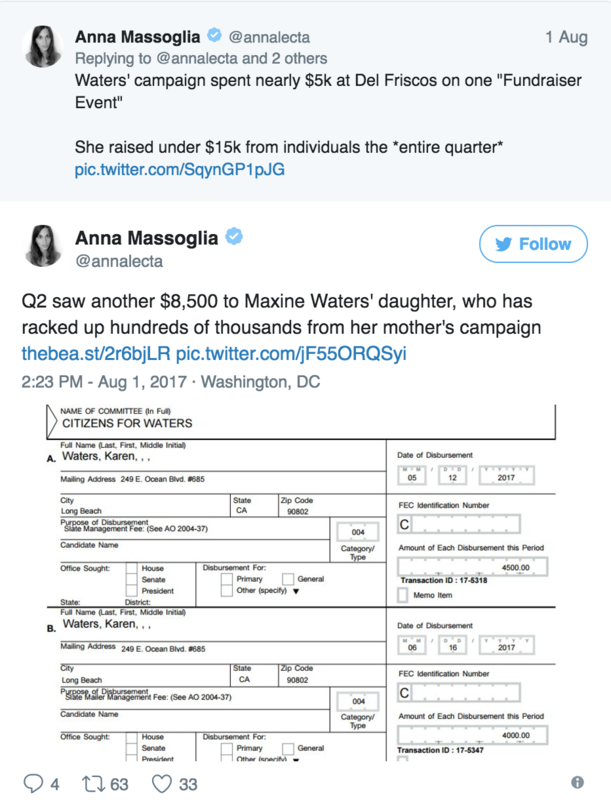 Maxine Waters seems to be swimming in cash, which is odd because her individual donations for the year were less than $15K! 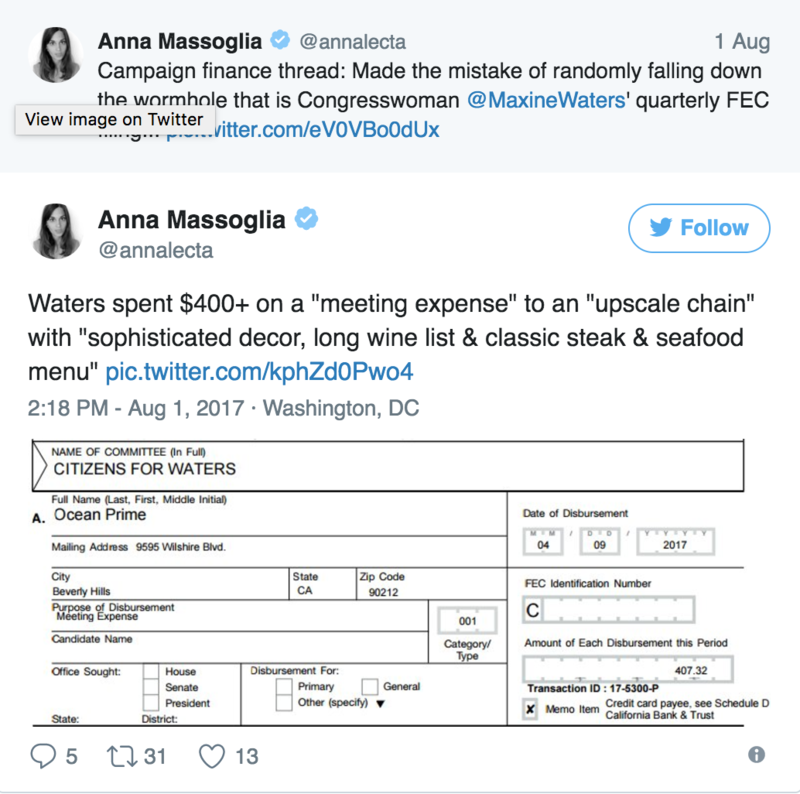 In fact, Waters spent $5K for a fundraising dinner, which seems like a waste of money considering she only raised $15K for the entire year. This is a highly unusual imbalance and one that probably deserves a lot more scrutiny. We’ve talked about Maxine Waters odd money before (here, here, and here), and Congress has been concerned about it in the past too. This is a woman who has been named “Most Corrupt in Congress” on 4 separate occasions by a nonpartisan watchdog. Sadly as of yet, no one has done much digging into the Congresswoman’s financial dealings. How does a woman who makes less than $200K a year, live in a $5 Million home, and then live such a lavish lifestyle? The math simply doesn’t add up. But then again there is so much about Mad-Max-ine that doesn’t add up.